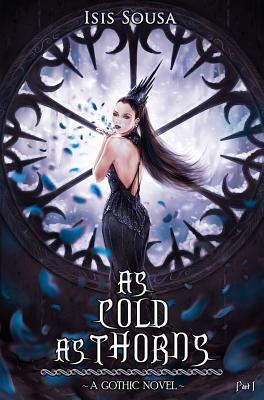 As Cold As Thorns - a dark tale for adults with beautiful illustrations When lust and vanity consume a humble young soul, nothing is left but a faint flame in the darkness of the void. The solace and contentment of Henrique's simple life as a small-town tailor's apprentice vanish when his ambitions turn him overnight into one of the most powerful and influential personalities in early-1800s Europe. His quick ascension to the upper echelons of the leading Iberian Empire reveals a man torn between the pure heart he once was, and the grim shade of what he has now become: a spirit obsessed with expensive material possessions and the urge to acquire the unattainable. Henrique succumbs to the ever-growing desires and beguiling passions tormenting his mind, causing a rupture between reason and a desolate world of ice and snow where pain is the key to salvation.Will he survive his encounter with the colossal emptiness and find the righteous path to lead him out of his agony? Come and indulge yourself in this startling tale of coldness and wonder.